Best for: Dealing with health issues and serious detoxing with truly personalised care. Not for: Those who want a small, cosy environment. The facilities are first rate, but this is still primarily a clinic. This swish medical spa is set in private gardens in the pretty village of Igls and just 15 minutes from Innsbruck by car. It offers a variety of health programmes that pivot on preventative Modern Mayr Medicine and the belief that good health depends on good digestion. Come to deal with a serious health issue, to lose weight, to cleanse or recharge or have a full medical check-up – there’s little they can’t help you with. 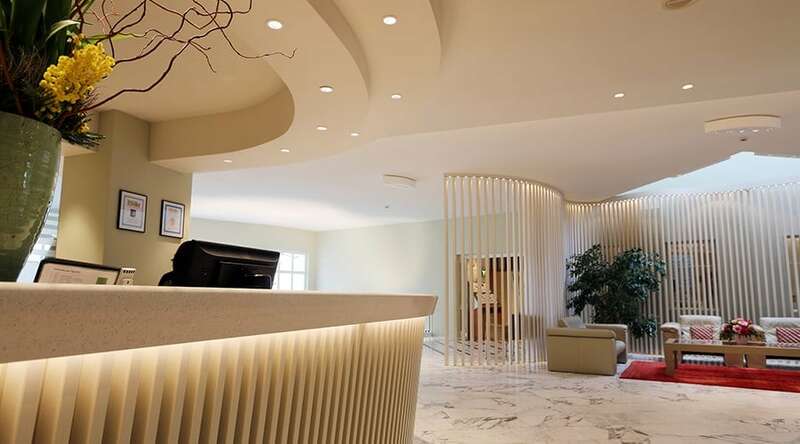 You’ll be supported by a first rate medical team, and have access to an impressive array of diagnostic, medical and complementary therapies, fabulous bedrooms, impressive facilities and enjoy mindful nutrition with modern Mayr cuisine. One of our favourites. Read all about the Mayr method. The personal approach. The enormous variety of first rate treatments, medical and other services and diet plans mean that you can really benefit from a programme specifically tailored to you. Staff have a genuine concern to tailor advice to guide guests to enjoying healthy and happy lives. It is no wonder that some have been coming back every year for decades. 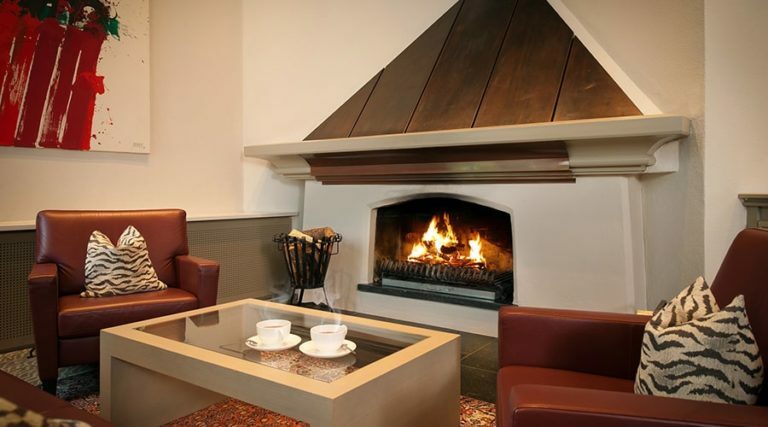 The cavernous public areas and functional ambience make this health retreat feel more upmarket private hospital than cosy mountain hotel – which of course some people will love. Your Modern Mayr Medicine programme will be devised after an in-depth health consultation with a medical doctor. Mix daily group activities with walks, exercise, treatments, time in the spa and evening talks on health related issues. There’s an expert medical team of doctors here headed by Medical Director Dr Peter Gartner, who is genial, energetic and sincere. They practice Modern Mayr Medicine, a holistic approach to health based on the findings of Dr FX Mayr and the belief that good health depends on good digestion. It is based on six principles: Cleansing, Supplementing, Self-discovery, Exercise, Rest and Education, all underpinned by a delicious, high-energy diet based on the latest scientific findings and running alongside a well-designed exercise programme. The focus is on investigating the cause of disease – mostly in the area of the gut – and not primarily on curing symptoms. The team of medical specialists also work closely with Innsbruck University Hospital and their specialist consultants so you get the best and newest tests and treatments. You can read all about the Mayr method in our feature here. Movement is a key principle of the Mayr approach, and there is an extensive selection of optional group activities included in every programme. A weekly schedule is provided on arrival and a daily one each morning – on a typical week day around 13 separate activities are programmed throughout the day and early evening. You can expect a choice of morning and evening walks, Nordic walking and hiking, fitness classes such as work outs using theraband, aqua fit and jogging, gymnastics, stretching, cardio training, kybun® (ideal for those with joint problems), yoga and Pilates. There is a terrific gym with a view across to the mountains and a very good 18-metre pool, which is especially delightful at night – both of these are open until 10pm. You can also book personal training. For time in nature, wander the gardens surrounding the clinic, or try some of the excellent hiking trails in the region. Some more energetic guests staying in the winter months also go skiing in the vicinity. Golf and tennis are available nearby and there is a professional standard chipping and putting green onsite. The Baths Department, set over two floors linked by a wide staircase, is a pristine, serene and bright area to go to for all therapeutic treatments, administered by efficient “spa ladies”. Guests are encouraged to do daily Kneipp therapy (included in the basic programme) which involves putting your feet in hot water followed by a shorter spell of cold water, all designed to stimulate circulation. Similar “contrast” baths are available for arms and to sit in. 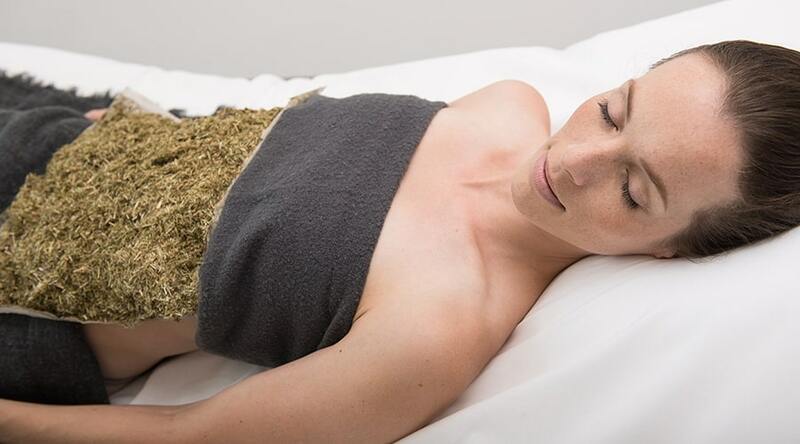 Also free of charge are Kneipp hot abdominal wraps and liver compresses. Other treatments available include a variety of compresses and wraps which use traditional soothing herbs and remedies to address particular ailments, spa body treatments including exfoliation and body wraps to leave skin silky smooth, and ‘medical massages’ given by brilliant masseurs who offer a variety of styles and are also trained physiotherapists. Physiotherapy, sports therapy, metabolic detox baths and colon hydrotherapy are also available. 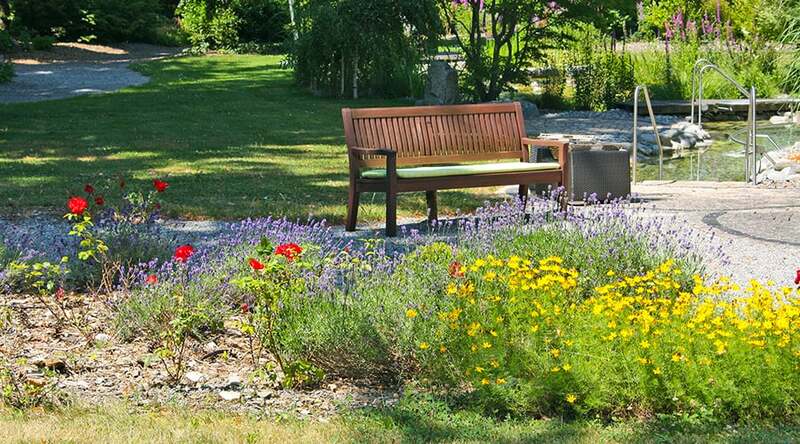 What really distinguishes Park Igls is the extensive laboratory testing facilities and latest diagnostic equipment available which make it a great place to have a full medical check up or attend to pressing health issues, from diabetes and heart ticks to problems with sleep. The huge array of medical treatments on offer ranges from neural therapy, acupuncture, food intolerance and allergy tests to intravenous drip therapy, diagnostic tests for lung cancer and Alzhemier’s disease and a mobile sleep laboratory. Whatever is recommended for you will be discussed with your doctor at the start of your stay and fitted in to your programme. Fasting and intense health programmes can lead to self-discovery and emotional and psychological healing, and experts including clinical psychologists are on hand to guide you through any issues that arise. There are sessions available in Psychology and Relaxation, Mental Nutrition Training, and Talking Therapy. You can also get help with specific issues with sleep coaching, stress management and ‘burn out’ prevention. 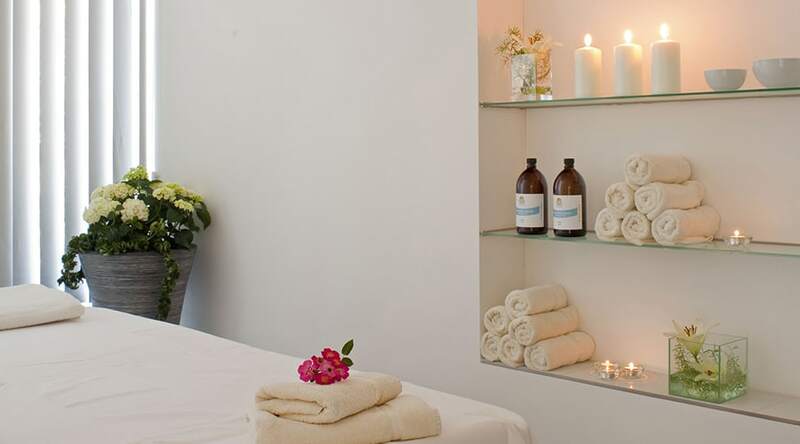 The Beauty Salon offers traditional treatments such as manicures and pedicures, waxing, natural facials and body treatments using local Alpine products and all manner of regenerative and anti-aging facials and body firming treatments. Its approach is holistic, designed to enhance overall recuperation and relaxation, and more invasive cosmetic treatments such as botox are deliberately not on offer. There is good wi-fi in every room and public areas should you need it, but mobile phones may not be used in the dining rooms and guests are encouraged not to use electrical devices whilst eating nor before sleep. There is “sleep coaching” available as part of the Health Psychology treatments, and guests are advised not to use their devices at least a couple of hours before going to bed. There are evening health talks, and weekly cookery lessons for 1.5 hours with the Clinic’s chefs. Cultural excursions for which you can sign up include shopping tours to Innsbruck, a trip to The Swarovski Crystal Worlds museum, evening outings to the Tyrolean State Theatre and occasional evening entertainment such as film showings and musicians performing after dinner in the lobby – indeed the jazz evening features Dr Gartner himself on sax. Bedrooms: There are 51 rooms and suites – from comfortable single rooms to the glamorous Park Suite. Bright and airy with large windows, most have views of the Alps, the Patscherkofel mountain and the Nordkette mountain range. Every room is equipped with a flat screen TV (with an impressively wide range of channels), free internet access and a safe. Some deluxe single rooms and suites are equipped with their own infrared saunas designed for deeper relaxation before bed. Two of the single rooms are accessible for people with disabilities. The functional ensuite bathrooms include a bathtub and/or shower and a bidet. Other places to be: The property is large and there is no shortage of seating where you can quietly read and drink tea. 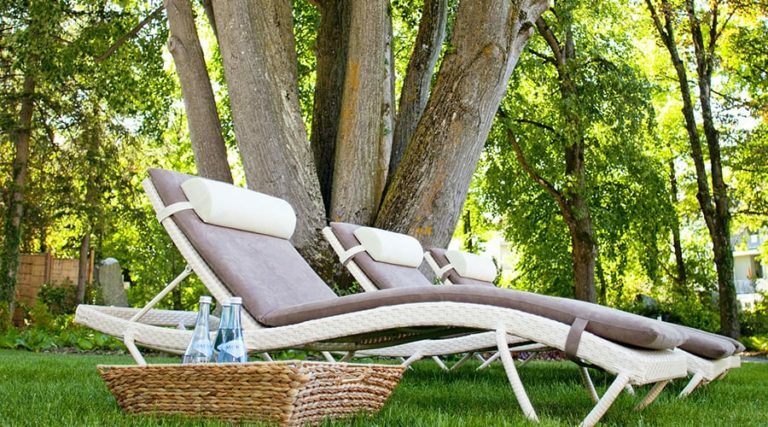 In the warmer months there is outdoor seating available and beds to snooze on by the pool. 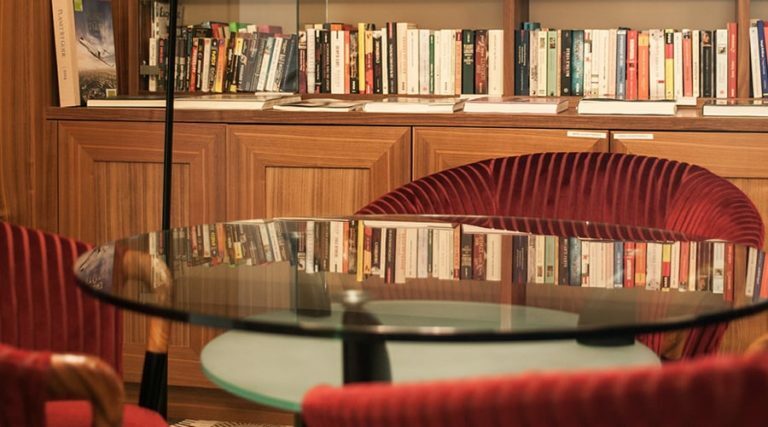 Inside there are extensive seating areas, a tea bar with a good selection of newspapers and magazines, a grand piano, a small library and a snooker table. Cut down on caffeine, sugar, alcohol and heavy evening meals a week before you go if possible so that you have finished the headache stage ahead of your arrival. If this is not possible, try arriving on a Friday to have the weekend to prepare for the detox proper on Monday. Don’t miss the introductory lecture, especially if you are new to Mayr. With perfect simultaneous translation, you will learn about the methodology and all the available diagnostic tests, treatments and activities so that you can be well prepared to discuss what you want from your stay at your first consultation. 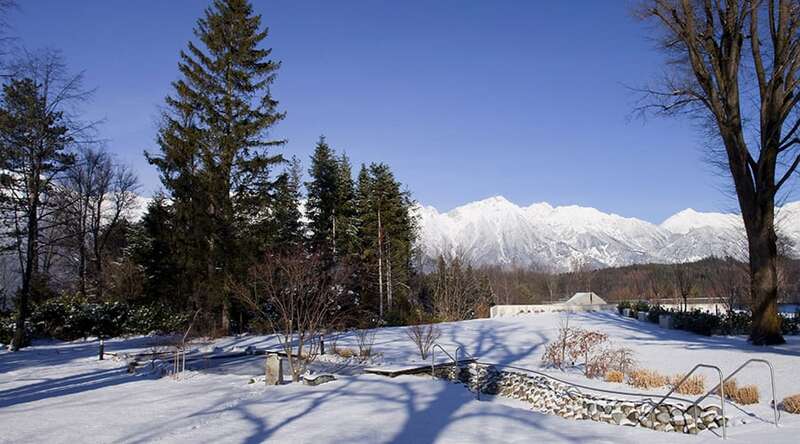 Park Igls will offer complimentary transfers to/from both Innsbruck airport and station. Park Igls is open all year round. It tends to be very busy in January and February and at its quietest in September. Go when you feel you will most benefit from a detox. The feel is very different in the winter months, when there is snow on the ground. In other seasons there is lots more opportunity for outdoor pursuits. 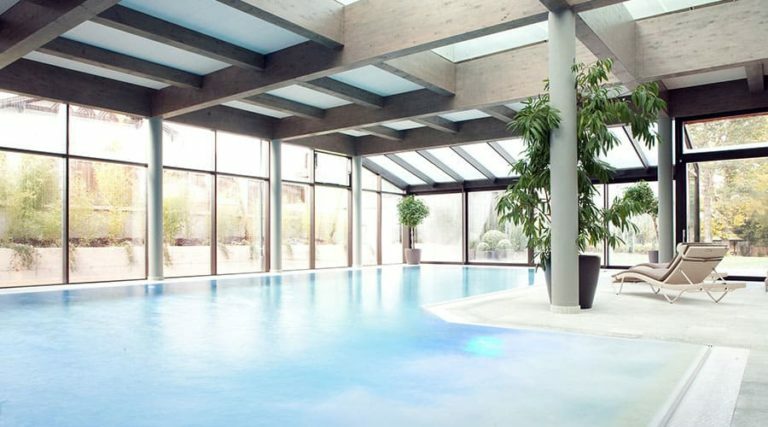 Spa facilities: There is a beautifully spacious pool and sauna area, and an excellent 18-metre swimming pool with jets at selected areas and a glass roof which opens in the summer and glass windows on two walls that give an airy feel. Beside the pool are comfortable loungers facing out to the garden. Next to the pool is a large “textile” sauna, where guests can enjoy a sauna wrapped in a towel or in a swimsuit. A door off from this area leads to a surprisingly large and very modern sauna area with various types of saunas, steam baths and relaxation areas. 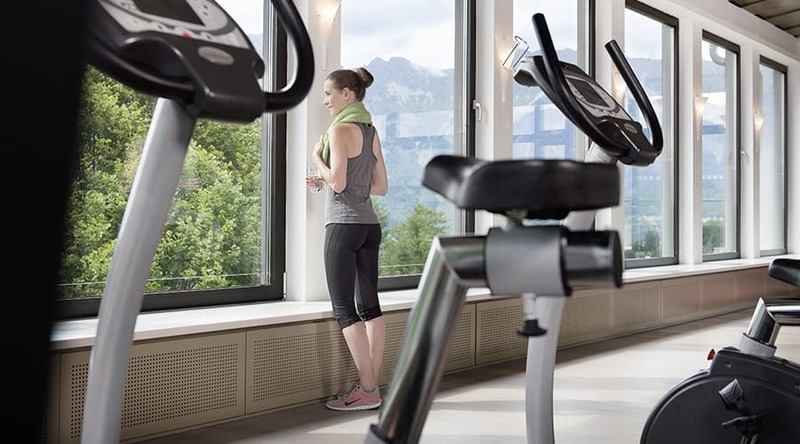 Workout facilities: There is a terrific gym on the third floor which enjoys panoramic Alpine views from floor to ceiling windows on all sides. It has a good range of well-spaced out equipment, and there is a relaxed atmosphere. Special mats in a large square around the treadmills are for use by those with joint problems, and a special kybun® treadmill allows for low impact training. Classes take place in the basement studio, which is bright and airy and has access to the garden. All meals are eaten in the functional dining rooms – one large airy room and two adjoining more intimate ones which may be better for striking up conversations. It may feel surprising to be served by staff in traditional Austrian national dress, very different from the modern style in all other parts of the resort. Delightfully, you will be allocated a table for the duration of your stay. The cuisine is designed to rest and relieve the digestive system. The focus is on providing alkaline, light and beautifully prepared cuisine using organic and regional foods. During the initial examination with your Mayr physician, you discuss which of the seven dietary stages will be most suitable for you. The doctor pays particular attention to your personal constitution, and makes sure any potential food intolerances or allergies are taken into account. All this information appears to be magically conveyed to the waiting staff who assist you in choosing what is available on your diet plan. Eating at Park Igls is a serious matter. Instructions for chewing the Mayr way appear on the table and are backed up by the knowledgeable waiting staff who have an impressive in-depth knowledge of everyone’s individual diet plan and food intolerances. 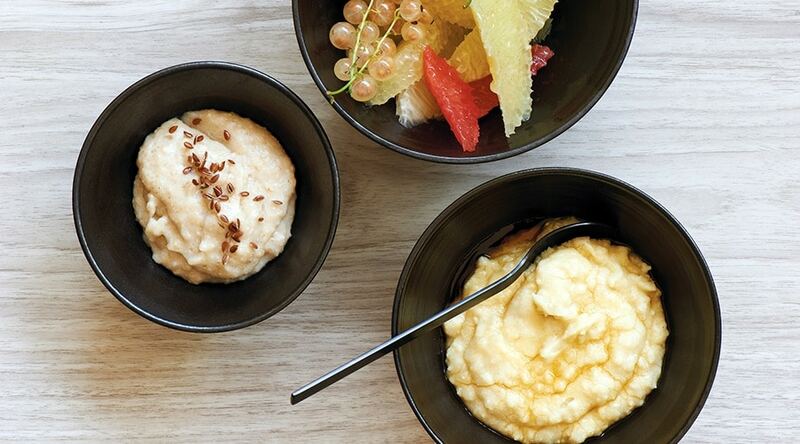 Breakfasts tend to be a choice of porridge or bread, with a protein supplement (cheese or salmon or vegetable spread or egg – the avocado spread with pumpkin seeds was excellent) plus 1-2 cups of Mayr food, typically milk or yoghurt or lactose free alternatives. Lunch is the main meal with a soup and a choice of main dishes. These are generally excellent and tend to surpass expectations from the menu description. ‘Carpaccio of Celery’ hardly sounded promising but turned out to be the most delightful combination of foods and flavours. 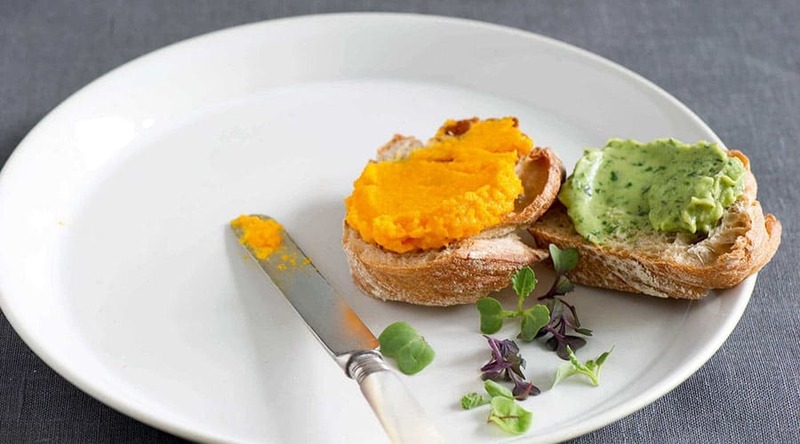 Supper is soup with crisp breads and a choice of protein – cheese, spreads, smoked salmon, eggs and the like. There is nothing between meals except water and herbal tea or a light alkaline vegetable broth (your digestion needs to rest), no alcohol and no caffeine. Guests are discouraged from drinking water at (or 30 minutes before or after) meals although, mysteriously, two large bottles are placed on every table. The property has a solar plant and a heat recovery plant. Staff are very well supported, with Park Igls meeting the costs of their travel season tickets, childcare while they are at work, lunch and medical care. They are also funded for the costs for continuing education, and there is in-house training.